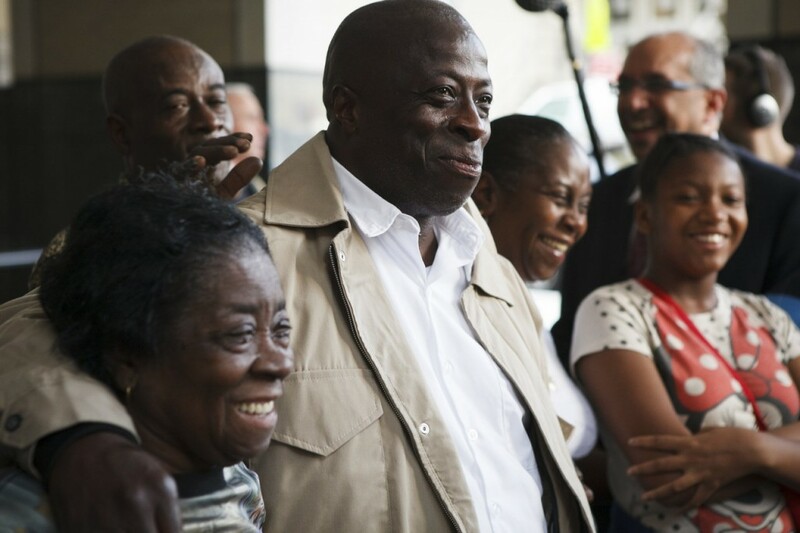 These stories just keep popping up all over the country – this time, it was in New York, where David Mcallum was finally released and the indictment against him was dismissed – 29 years after he had been imprisoned for killing a man and dumping his body in a park. Mcallum and another man, Willie Stuckey, who was also exonerated Wednesday, died in prison in 2001. The men were both 16 in 1985 when they confessed to abducting and slaying a man, leaving him in a Brooklyn park with a single bullet wound to the head. DA Hynes has denied there was a pattern of misconduct among prosecutors when he was district attorney, as his opponent alleged during last year’s campaign. Mr. Thompson defeated Mr. Hynes in that race. McCallum and Stuckey both recanted their confessions before trial and continued to proclaim their innocence after conviction and sentencing. Mr. McCallum was repeatedly denied parole because he refused to admit to the killing, his attorney Oscar Michelen said. Even with the confessions, the case against Messrs. McCallum and Stuckey was riddled with inconsistencies. Neither of the boys had driver’s licenses, nor had they ever taken drivers education, yet they confessed to taking a Buick for a rambling ride through Brooklyn before abandoning it near where the body was discovered. The witness who first led police to Mr. Stuckey told police he had left his gun with his aunt for safekeeping and that she had lent it to Mr. Stuckey. But when investigators tracked down the aunt earlier this year, she denied ever having allowed her nephew to leave a gun with her, and she later confronted him at a family get-together, Mr. Thompson said. Mr. Thompson said the victim’s family was “heartbroken” by the decision. “They want to know who killed their son,” he said, pledging to continue the search for Mr. Blenner’s killer. Mr. McCallum’s case is the 10th to be cleared by the Brooklyn District Attorney’s office since Mr. Thompson took office in January. About 30 have been reviewed and more than 100 remain. If you have been accused of ANY CRIMINAL OFFENSE it is crucial that you have an aggressive criminal defense attorney in your corner. You need someone that will fight for your rights. You need a tenacious lawyer that will put the state to their burden.